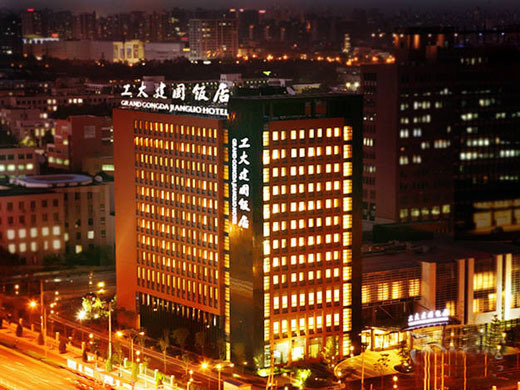 The Grand Gongda Jianguo Hotel (Beijing Gongda Jianguo Fandian) is located inside Beijing University of Technology within close proximity of the central business district and only a five-minute walk from the 2008 Beijing Olympic Badminton and Eurythmics Venue. On offer are various rooms including business standard rooms and business suites. This Beijing hotel also offers travel, foreign exchange and postal services. A variety of dining options are available including Chinese, Western and Japanese cuisine. There is also a lobby bar offering various drinks and wines. Recreational facilities include a spa and fitness center, a disco and a chess/card room.